New Flooring in Living & Dining Areas! 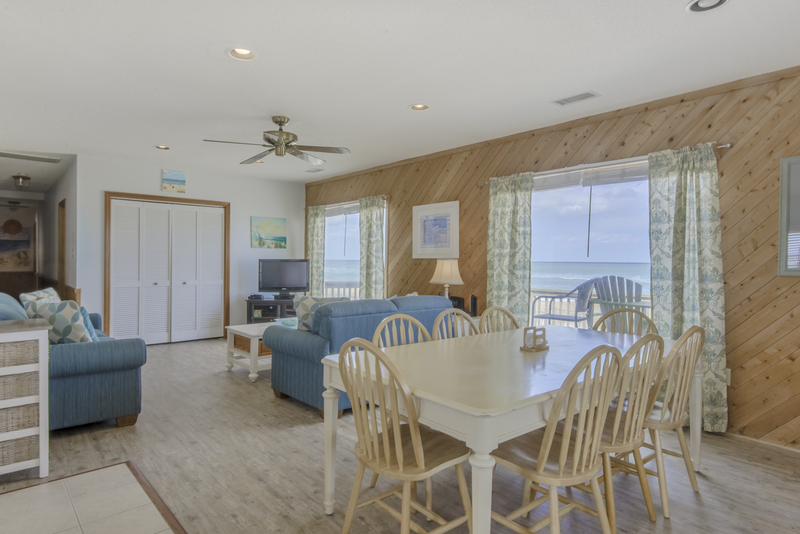 This House Sits Directly on the Beach, has Panoramic Views of the Ocean & the Beach, & is Nicely Decorated. Ground Level: Parking for 5 Cars, Steps to Entry, & Enclosed Outside Shower. 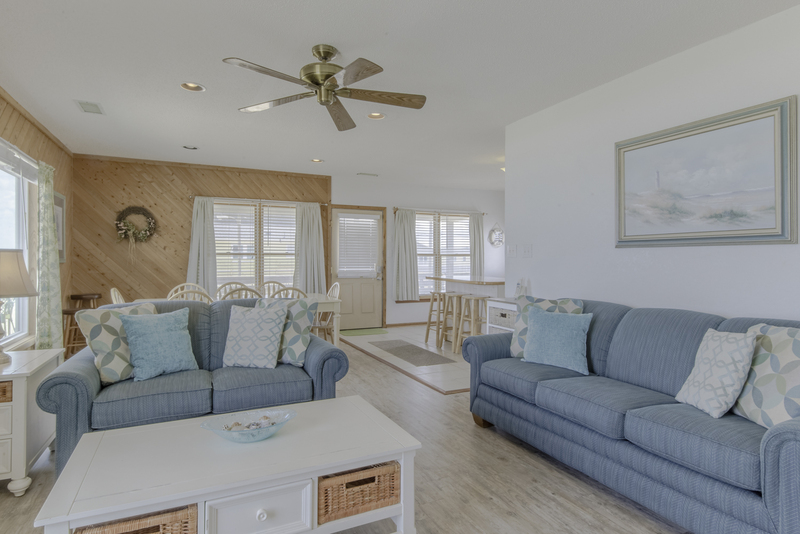 Main Level: 5 Bedrooms (3 Master Suites w/Queens & Full Baths, 1 w/2 Singles, & 1 w/Double), Shared Full Hall Bath, Sun Deck, Covered Deck w/Furniture & Built-In Benches, & Nice Oceanfront Deck w/Excellent Views. 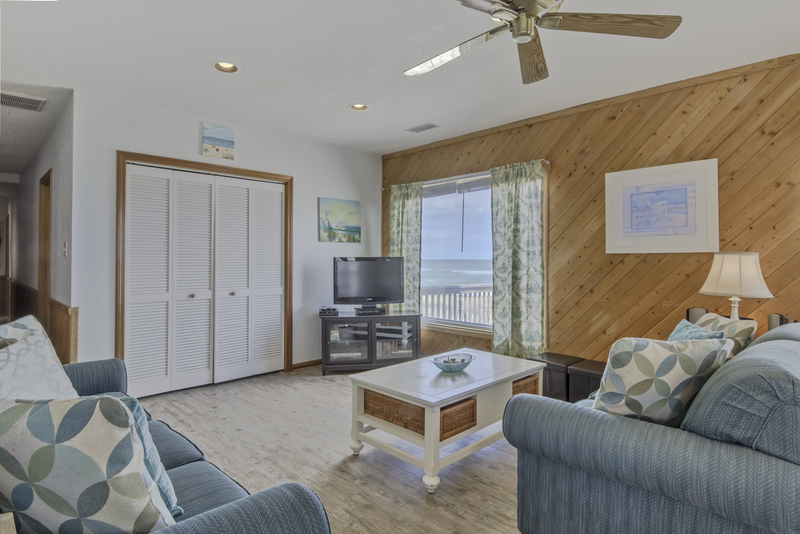 Features include: C/AC & Heat, Washer/Dryer, Dishwasher, Microwave, Phone, 2 TVs, VCR, DVD, Stereo, Wireless Internet, & Ceiling Fans. Located Across from #147 & #173. No Pets. This is a Non-Smoking Unit. We loved this house--perfect for our needs--4 couples, loved the bathroom ratio to bedrooms!! PERFECT!! We loved the location of the house and the 3 suite bedrooms. We have stayed in this same home for many, many years, as it meets all our needs....On the water, 5 bedrooms, 4 baths, well equipped kitchen etc. We love it and the central location. We love it there and the new couch and loveseat! We will be back next year and every year after that. The house was nicely decorated (pillows, quilts, shower curtains-all looked new). The location was fantastic! Beautiful views! Plenty of space. You can't beat the location! It is a little piece of heaven on earth. This is an excellent choice. 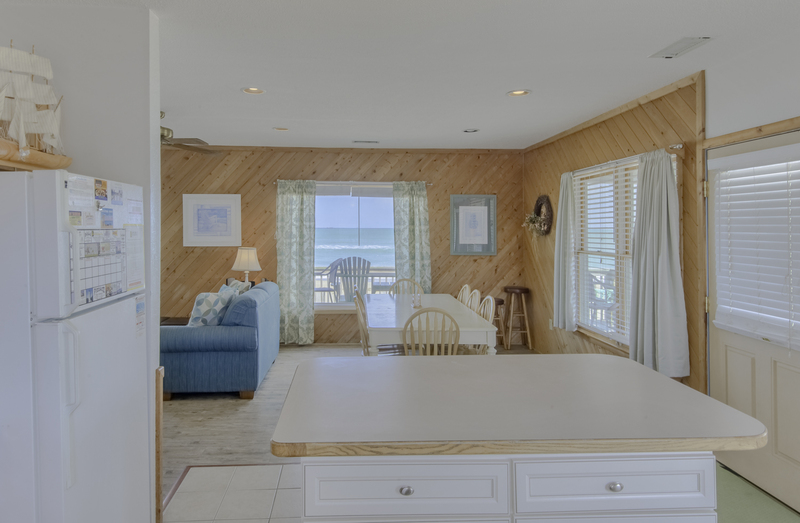 The views are great ... the beds are comfy ... access to the beach is from the front of the house only ... there are no back deck steps. Our family enjoyed our stay and had a great time. Very nice place to stay at. Loved the fact that there are so many bedrooms and bathrooms to go with them. Washer and dryer a great plus! Beds very comfortable. Overall a great stay even though the weather was not so great. Would stay here again! We love Belair. 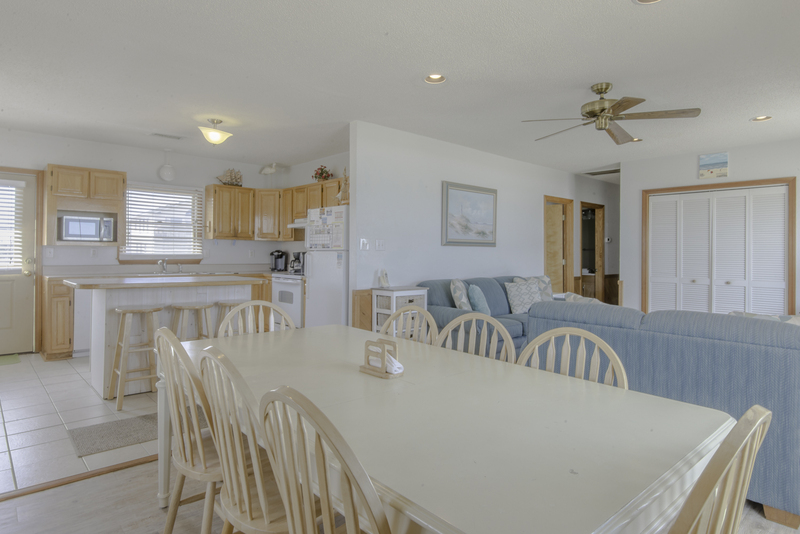 The one level home with the three sided deck are the best we have found in the Outer Banks. 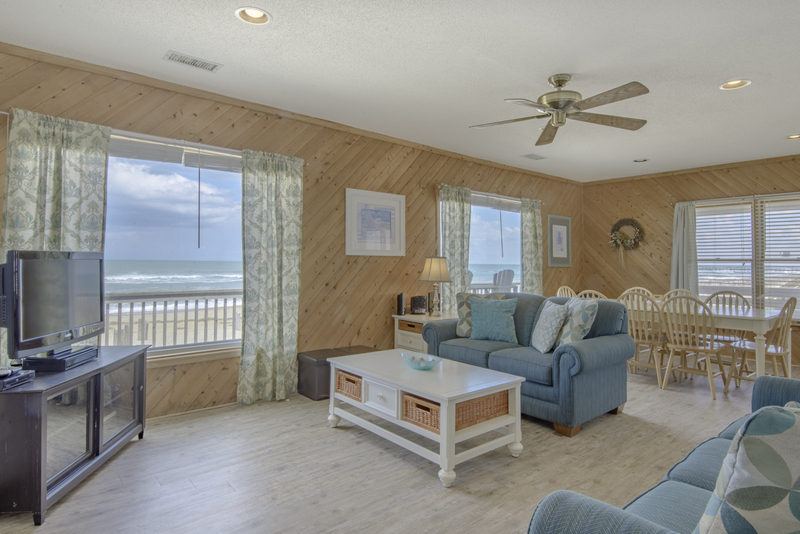 The proximity to the beach and the panoramic views of the ocean are amazing. 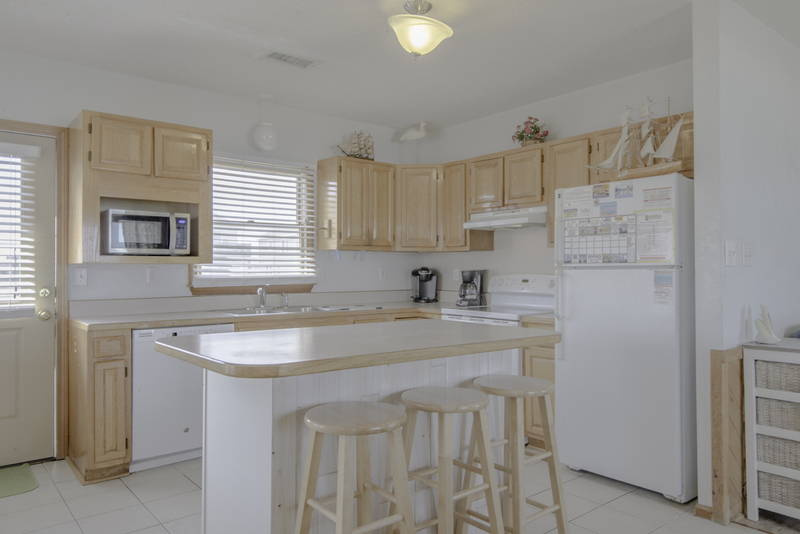 I have rented this home many times over the past 10 years and I hope to do it again. 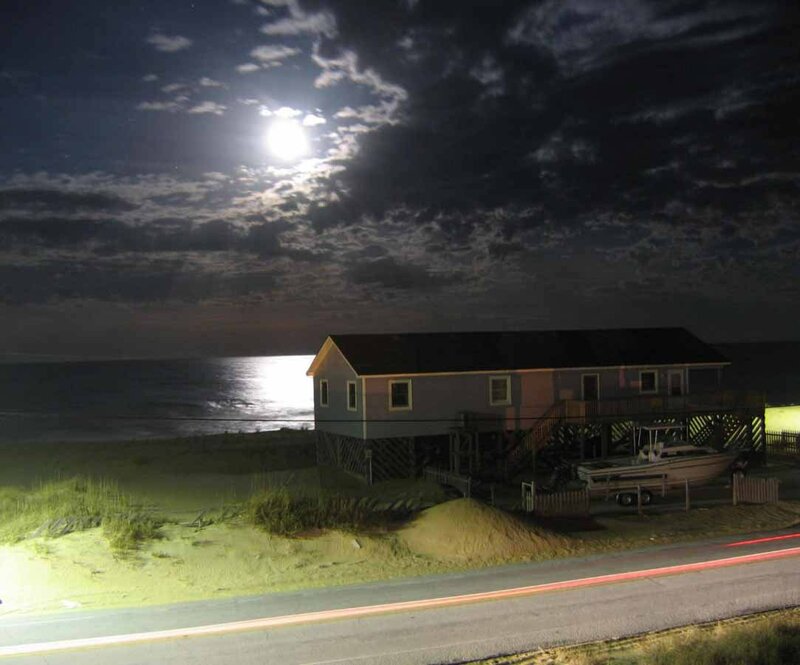 There is no better place to stay when vacationing. We keep coming back year after year This year it rained almost everyday...no problem..we still enjoyed it. Don't forget to eat at Chilli Peppers at Wilkersen and the main road.